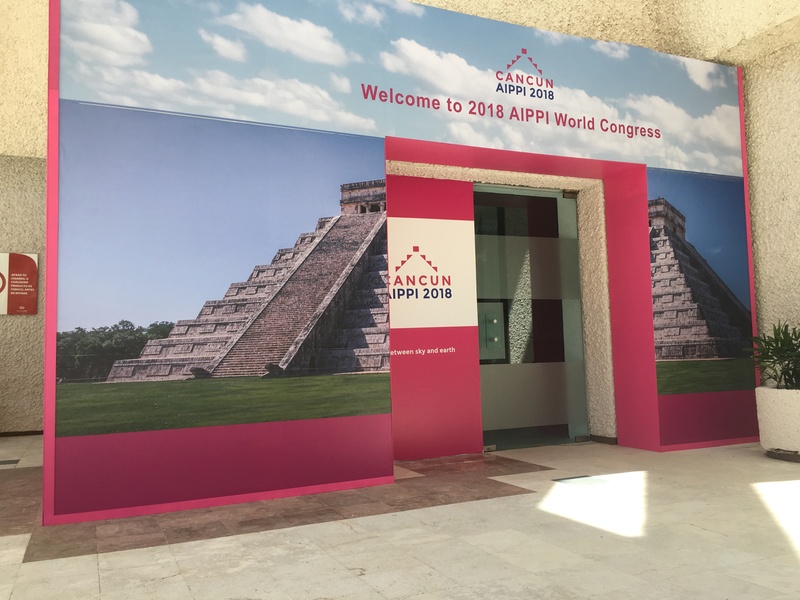 This week finds the firm’s principal attorney, Ed Sisson, in Cancun, Mexico for the Association for the Protection of Intellectual Property’s (AIPPI) Annual Congress. This is Ed’s third year attending the congress, where he has enjoyed the opportunity to meet with the firm’s international colleagues and to grow the firm’s international network. Currently, the firm has several active IPR enforcement initiatives around the world. Ed has welcomed the opportunity to personally review these cases with our international colleagues who are assisting us in the matters. Ed has also enjoyed meeting with new potential international colleagues in the interest of growing the firm’s international network. I founded the firm on welcoming feedback internally and externally. I was extremely surprised and humbled during today’s meeting with a potential associate in a new country. His feedback was that he had checked with several colleagues before our meeting and that our firm was known for successfully taking on the difficult and complex cases. I thought that was the greatest testament to our team – to have the respect of our colleagues for what we do. While Ed has attended the AIPPI World Congress in the past, this year, the congress held special meaning for him, as Carlos Sierra, a friend of the firm, helped organize this year’s event. I wish to think our friend Carlos Sierra and his firm for organizing this AIPPI World Congress and for the many years of support of our firm. I remember fondly the respect he received from the Director of Patents of Mexico. It was clear that the deference was mutual and was based upon the years of respectful interaction between them throughout the careers. Ed plans to continue to grow the firm’s international network and to strengthen the firm’s existing international connections by, among other methods, continuing to attend the AIPPI World Congress in the coming years.